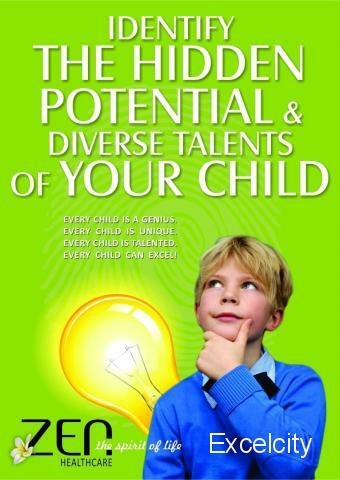 Discover your child's hidden talents and potentials! Would you like to know?? 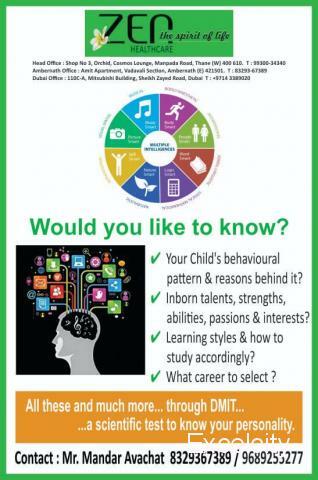 Your child's behavioral patterns and the reasons behind it? 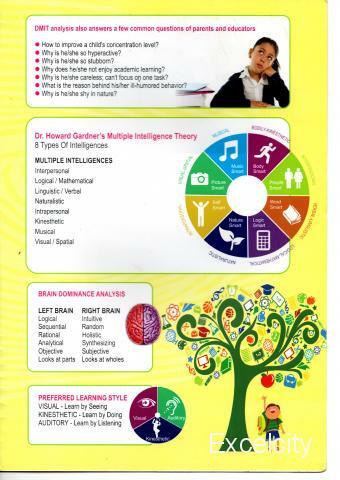 Learning styles and how to teach accordingly? 1. The analysis was very accurate and insightful. It had given me lots of guidelines to help my daughter in various phases of life be it studying, playing or choosing a career. The practical aspects given by Dr. Gargee, like which is the best method of learning, tips for behavioral changes, possible career interests, are like a gold mine. 2. I think this test opened up a lot of information about my child. We as parents, I feel, will be able to better guide her and make an appropriate environment for her to blossom. 3. It's fantastic test which is extremely accurate. The counseling was excellent. I am happy to have done the test for my children, as well as for my husband and I. This test has been an eye - opener for us. It has given me a specific direction and guidance for improving my children's skills. Even for me this test has proven to be extremely valuable and has given me added confidence in my work. 4. I was amazed to find a great level of accuracy in my child's report, as to her personality. I highly recommend this. 5. Very thought-provoking. One of the best feedbacks so far. Very elaborative counseling session, bringing out the finer nuances of the subject. Extremely knowledgeable interaction. 6. 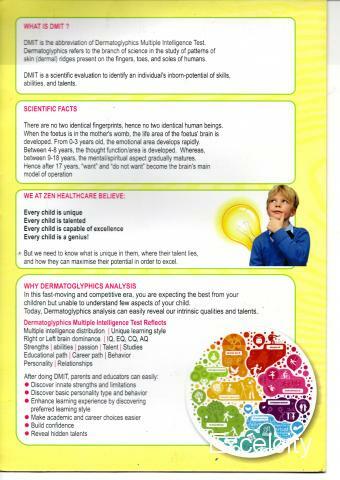 I found the report almost similar to what my child is and will help to enhance his future abilities. Very informative! 7. I think this analysis complimented and supplemented to what I understood and knew about myself after practicing Reiki for the past 12.5 years. This is very scientific and even at 31, I am sure that whatever decisions I had taken in my life with respect to my career in photography & human rights (going completely against my family wishes) were perfect. This test describes and explains my persona and personality exactly the way I found through Reiki meditation. This test is surely going to help me in the future not only as a photojournalist buy also as a human being. 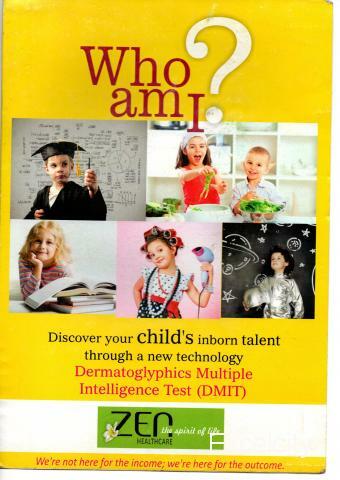 How I wish this scientific biometric test was available at least 10 years back if not 15 years; I/ parents would have not spent so much of money and just focused on my strengths!! 8. Accuracy of the report was above 90%, and overall experience of this test was excellent. Now we are able to take a decision for my child as yo which field she would do best in. 9. I wish this biometric test would have been in place when I was a child, but it's never too latr. The outcome of this test has really helped me out to know myself, my likings in a much better way. And yes now am much more confident about myself. I know what are my strengths and the areas which I need to work on and it will surely help me to lead better life. I wish this biometric test would have been in place when I was a child, but it's never too late. The outcome of this test has really helped me out to know myself, my likings in a much better way. And yes now am much more confident about myself. I know what are my strengths and the areas which I need to work on and it will surely help me to lead better life.